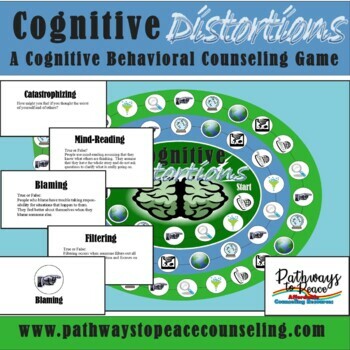 Cognitive Distortions is a cognitive-behavioral therapy game created to be used in counseling for elementary age children who battle with irrational thoughts or behavior patterns. This game focuses specifically on blaming, magnifying, filtering, controlling, global labels, mind reading, and catastrophizing. This game can be played in individual counseling with the counselor and client, in a family session, or in a small group format. 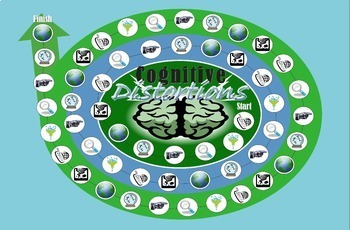 This game focuses on educating clients on identifying these cognitive distortions, problems that may arise from using these thought patterns, and processing how these cognitive distortions have impacted them personally. 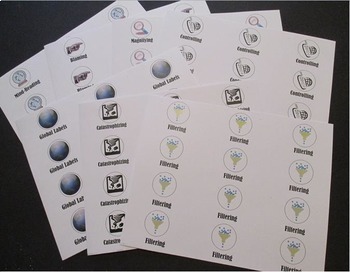 This game will serve as a diagnostic tool for clinicians to identify problematic thinking and will allow the counselor, through play, to help clients learn how to control their self talk and implement coping skills.